You are here: Home / Our Animals / Chickens / Egg Float Test: Is That “Fresh” Egg is Good Or Bad? Not sure if that “fresh” egg is good or bad? Try the egg float test! So, how do you perform the egg float test? So, what’s the science behind the egg float test? Why do you need to know about the egg float test? Chickens are masters at hiding their eggs if they want. Every so often, I come across a nest of “fresh” eggs on the homestead – and I have no idea how long they’ve been there, and if they’re good or bad. Chickens like to hide their eggs in dark, tight places. It’s an evolutionary thing – eggs that are hidden are less likely to be snagged by a predator. 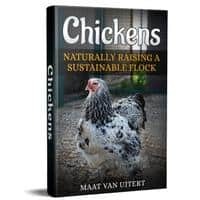 At the same time, if a chicken wants to hatch eggs, which requires sitting for long periods of time, a dark place is best – she’s more likely to be left alone. But let’s say you come across a nest, and aren’t sure how old the eggs are, and whether you should just toss them. 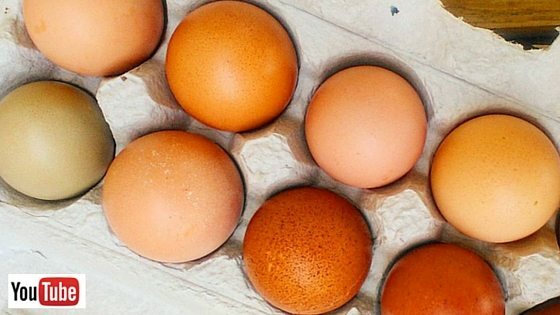 Want to know how to tell if eggs are good? That’s where the egg float test comes in! If you’ve never tried the egg float test, it’s a great and visually easy way to tell if eggs are fresh. Also, if you have store-bought eggs in your fridge that are expired, it’s worth trying the egg float test to determine if they’re okay to use. The egg float test is easy. First, grab a cup of cool (not ice cold and definitely not hot) water. If you want to try the egg float test using a mason jar, make it easy on yourself, and use a wide-mouthed jar so you can get the egg out easier. A cup of water works well, too. To complete the egg float test, just gently insert your egg into the water. According to the egg float test, if your eggs rise to the top of the water, they’re too old to use. But if they sink, they’re fresh and still good to eat. Of course with anything there’s a catch. What does the egg float test mean if your egg sort of floats, but sort of sinks? If your egg suspends on one end, it’s technically still okay to eat, but you need to use it soon. Personally, I usually toss these eggs to my pigs, since there’s typically fresher eggs available. I know the pigs appreciate them. Once you’ve put the egg in water, you’ve stripped off the bloom, which means air can get into the egg quicker. (Learn more about cleaning eggs here). So, if the eggs sink, you’ll probably want to use them sooner rather than later. (Learn more about how long eggs stay fresh). Egg shells, as you might know, are porous, meaning they let air into them. (Learn more about the anatomy of an egg here). The fresher an egg is, the less air it has inside of it, so it sinks. Old eggs, however, have more air in them because oxygen has had time to permeate the shell. So, they float. Because of all this, the egg float test is considered an accurate way to test your whether those eggs you found are okay to eat, or if you should just toss them. 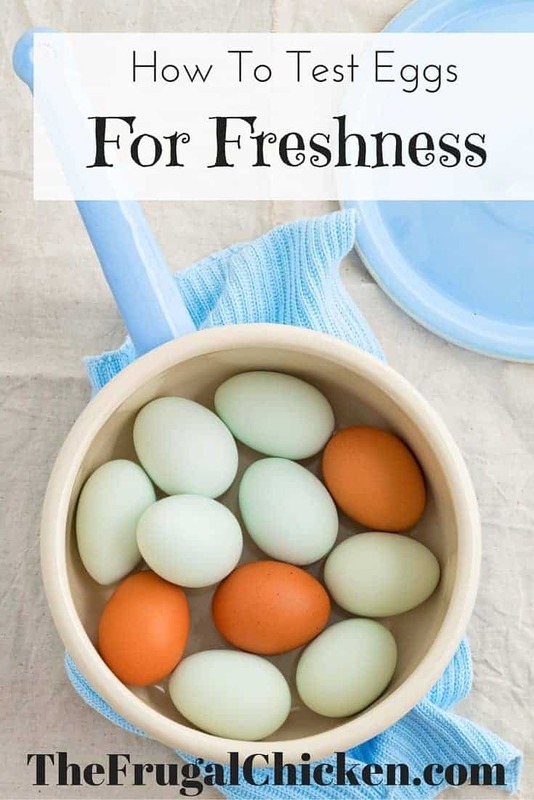 There are a couple other ways besides the egg float test to tell if the eggs you found are fresh. One option is to candle the eggs, just as you would if you were to hatch them. In this test, you’re looking to see how intact the yolk is (the more intact the more likely it’s fresh). And, similar to the egg float test, you’re looking to see how much air is inside the egg (the more air space, the older the egg is). Another test is to hold the egg up to your ear. If you hear a lot of movement, the egg is said to be old, but if you don’t hear anything, then the egg is fresh. Personally, I prefer the egg float test, and I have more experience with it. Now that you’ve determined your eggs are fresh using the egg float test, how about some egg recipes to help you use them up? Do you think you’ll try the egg float test? Email me at editor@thefrugalchicken.com or comment below! Why Is There Water in My Eggs?